Giving birthday bump is a usual practice in schools of western as well as South Asian countries but assaulting someone in name of birthday bump isn't acceptable. On April 15, a 17-year-old boy, a student of government school named Sekolah Menengah Kebangsaan Bukit Jelutong, Malaysia went to school to celebrate his birthday with classmates but he never expected what happened to him next. 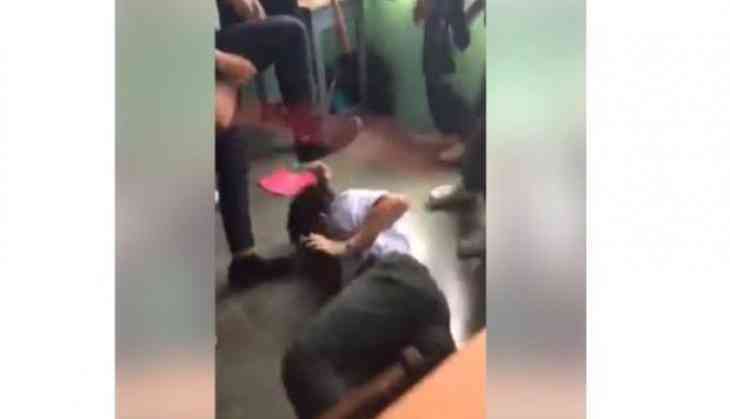 A video went viral in which nine students physically assaulted their classmates in the name of birthday celebration. Investigating Officer Chief Senior Asst Comm Fadzil Ahmat said, "Nine boys have been arrested in the mater and all of them are 17-year-old and from same school government school from which the assaulted boy is from." The investigation started after the 17-year-old victim lodged a police report on the issue. As per the video eight students wearing the uniform, singing "Happy Birthday" and assaulting the victim with broom, kicks and punches.